Daniel Luca Vettori, ONZM (born 27 January 1979) is a cricketer for the New Zealand cricket team. He is the eighth player in Test history to take 300 wickets and score 3,000 runs. He is the youngest player to have represented New Zealand in Test cricket, having made his debut in 1996–97 at the age of 18, and New Zealands most-capped test cricketer with 112 caps, and New Zealands most capped One-Day cricketer with 284 caps. Vettori is a bowling all-rounder who bowls slow left-arm orthodox spin; he is known for his accuracy, flight and guile rather than prodigious turn. He has a Test batting average of around 30 making him one of the more consistent and better batsmen in the New Zealand cricket team. In the fourth season of Indian Premier League, he was contracted by Royal Challengers Bangalore for US$550,000. He is currently the head coach of the Royal Challengers Bangalore team. Vettori captained New Zealand between 2007 and 2011. 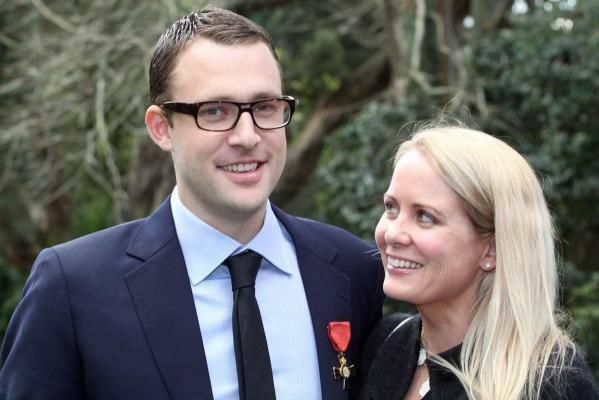 He was born in Auckland and brought up in Hamilton, attending Marian School and later St. Pauls Collegiate School. When he is free he plays provincial cricket for Northern Districts and is also an international member of Indian Premier League team the Royal Challengers Bangalore. 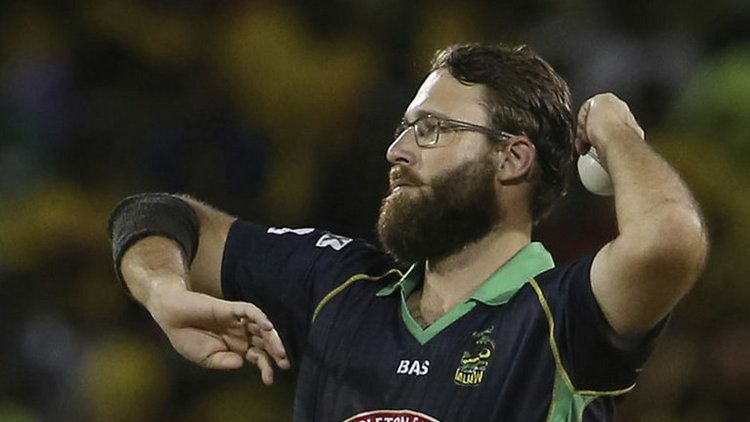 Vettori also represents the Brisbane Heat in the Big Bash League. He is among a very small minority of international sports stars to wear prescription spectacles while playing sport, and only one of very few cricketers in the modern era to play Test cricket with spectacles, others including Zimbabwean Charles Coventry, Australian Chris Rogers, and West Indian Clive Lloyd. He took his 300th Test wicket in Sri Lanka in 2009, becoming only the second New Zealand bowler (after Richard Hadlee) to pass that mark and he is currently New Zealands leading ODI wicket-taker. Vettori has three 10 wicket hauls in Test cricket, against Sri Lanka, Australia and Bangladesh. His best innings figures were achieved at Auckland in 1999–2000 against Australia where he took 7/87. He finished with career best match figures in that game, taking 12/149. They are the second best ever by a New Zealander, with only Richard Hadlee having taken more in a match. With another 12 wicket effort, against Bangladesh in Chittagong, he became the only New Zealander to have taken a dozen wickets in a Test on two occasions. He is the bowler to have most frequently dismissed Shane Warne in Tests, getting him out nine times, most notably for 99 in a Test at Perth. Ironically, in the 1st Test against Pakistan in 2009–10 season, Vettori was himself dismissed for 99, while chasing a world record in centuries batting from position number 8. 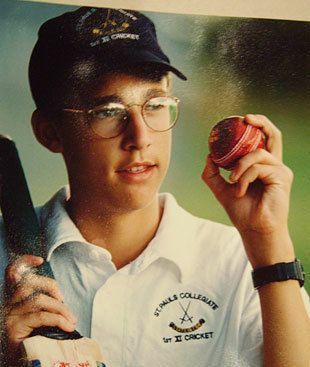 Vettori has matured into a useful lower-order batsman, having scored 4,000 Test runs, including six centuries (110 against Pakistan in 2011, 134 against Pakistan 2009, 140 against Sri Lanka 2009, 137* against Pakistan in 2003, 127 against Zimbabwe in 2005 and 118 against India in 2009) as well as 23 half-centuries. Although it took Vettori 47 Tests to score his first 1,000 runs at an average of 17.24, the second thousand took him just 22 Tests at a rate of 42.52 per innings. Vettori is of Italian origin. He is married to Mary OCarroll, with whom he has two children. He moved from Hamilton to Auckland to live with her but has continued playing for the Northern Districts Knights. They have a son named James (born 8 March 2009). Vettori was made an Officer of the New Zealand Order of Merit in the 2011 Queens Birthday Honours, for services to cricket. Vettori is the first cousin of David Hill, a rugby union player who played in one Test for the All Blacks.